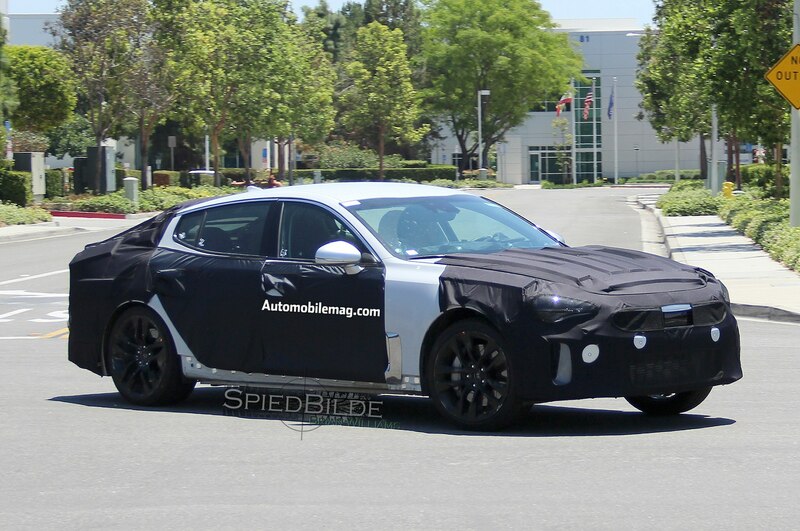 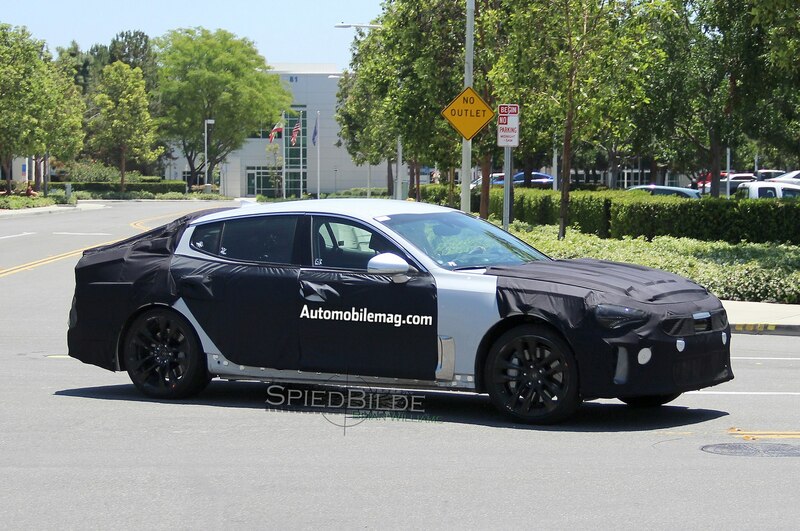 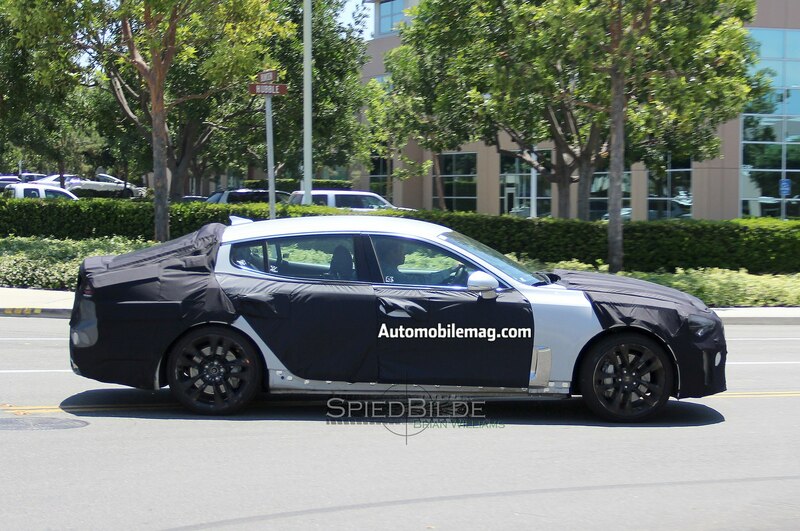 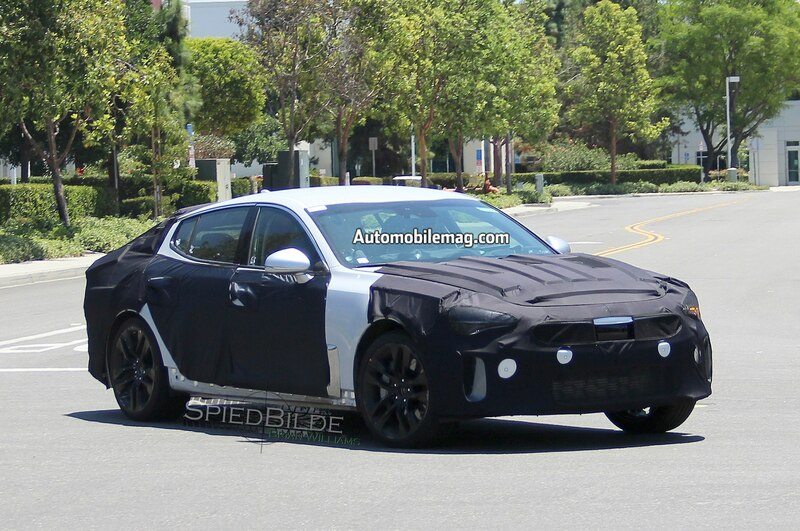 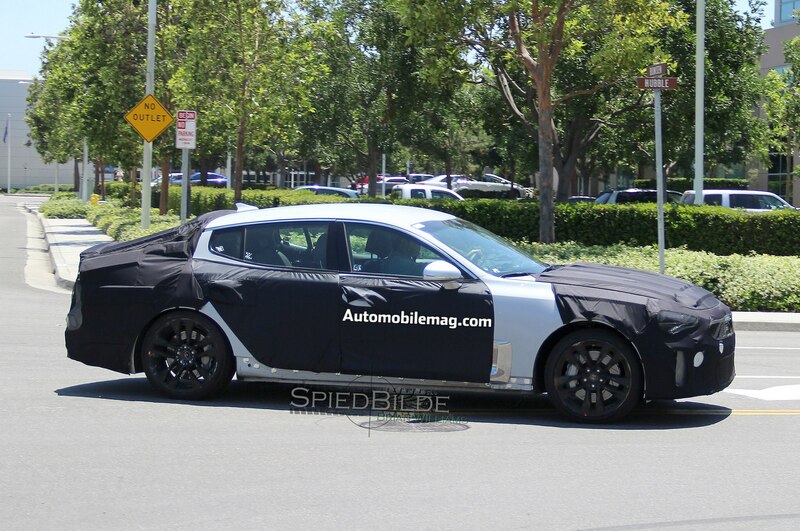 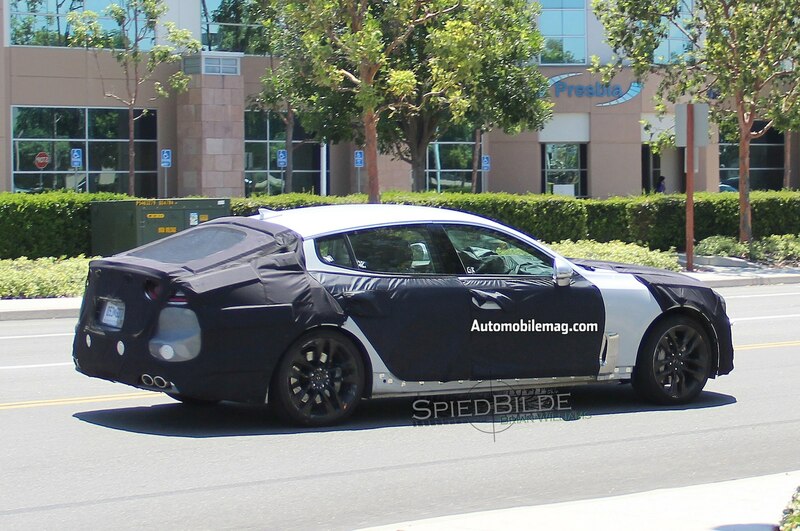 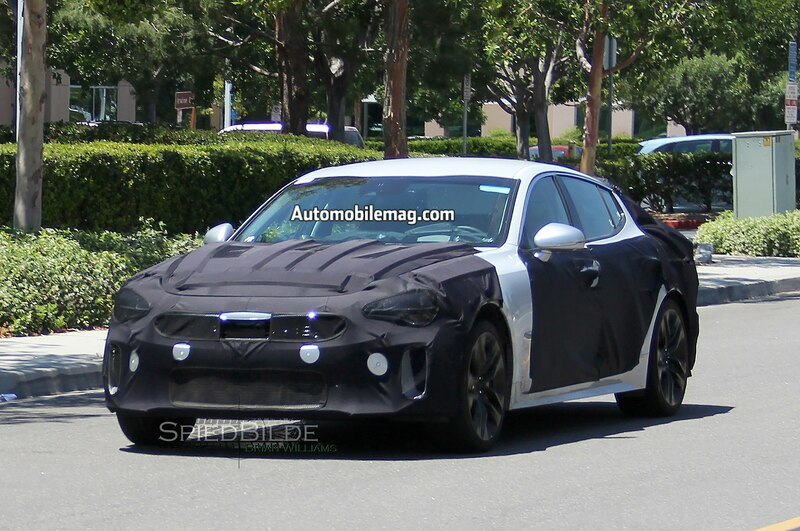 After many rumors of Kia making a production version of its GT concept car, spy photographers have finally caught a prototype for the production GT undergoing testing. 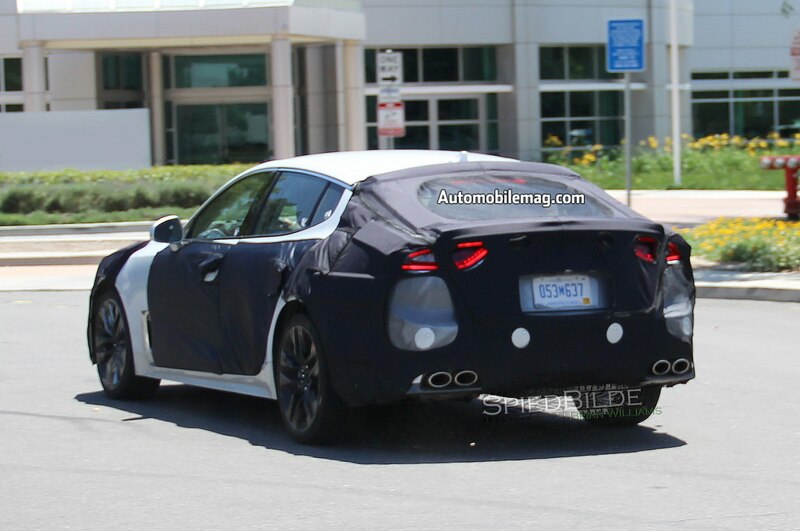 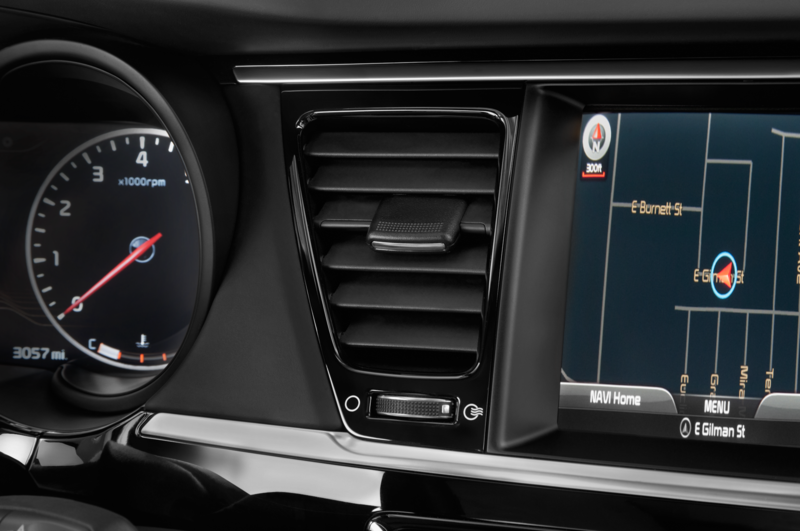 Immediately you’ll notice that it isn’t fully covered and some exterior design details are clearly visible including the car’s dramatic, coupe-like roofline. 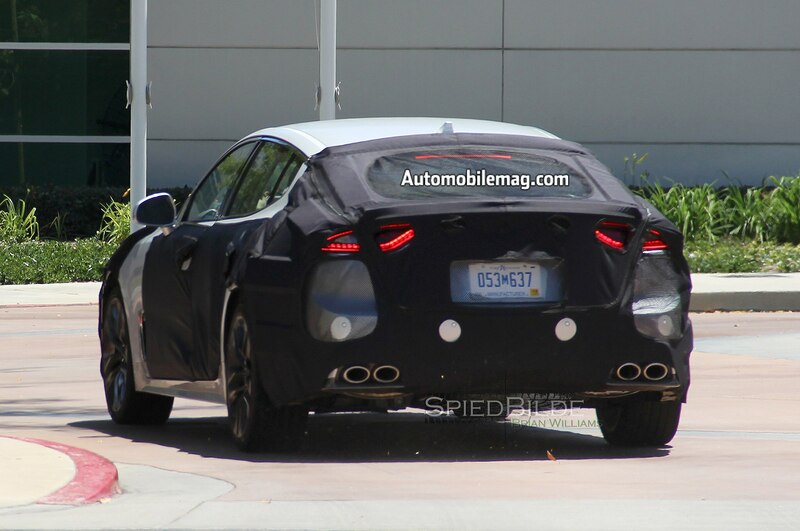 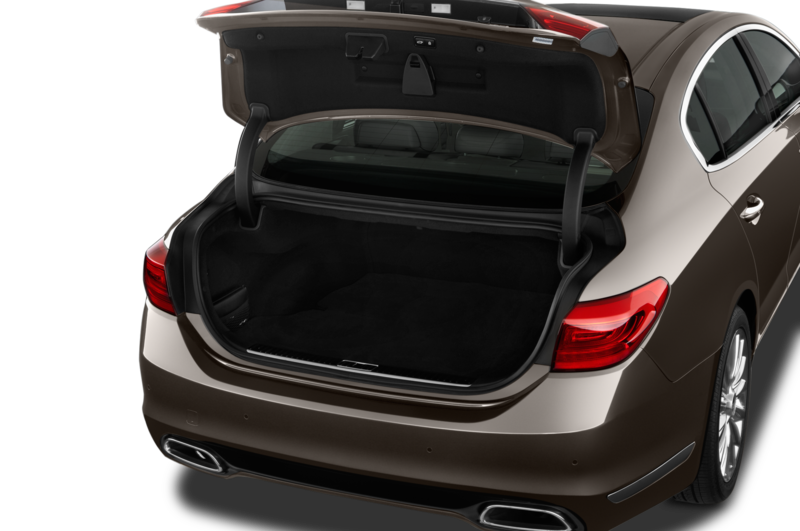 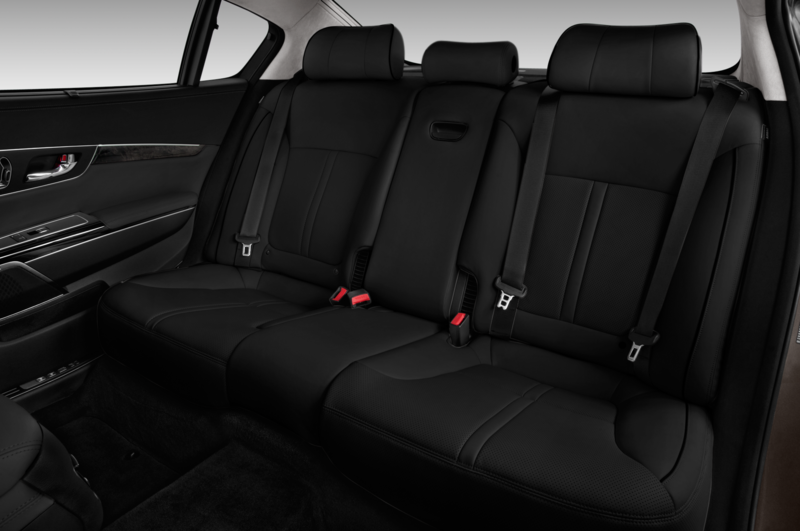 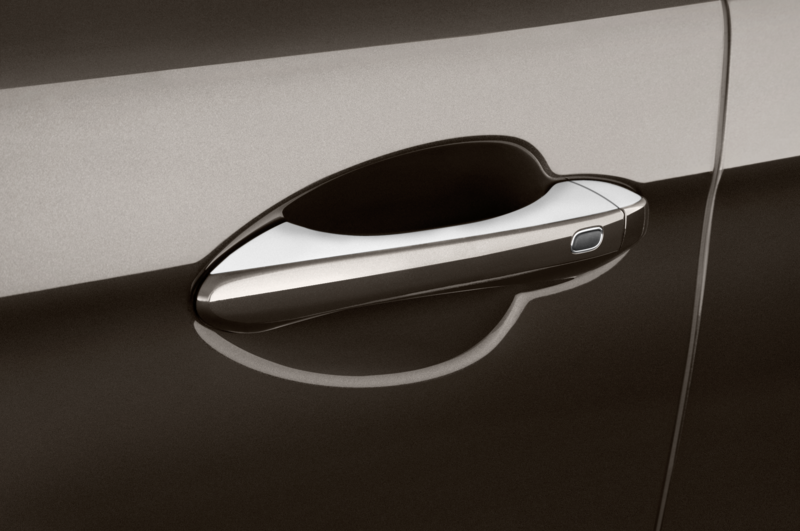 When viewed from the side, the prototype looks similar to an Audi A7, meaning it could be a have a large hatchback instead of a tradition trunk. 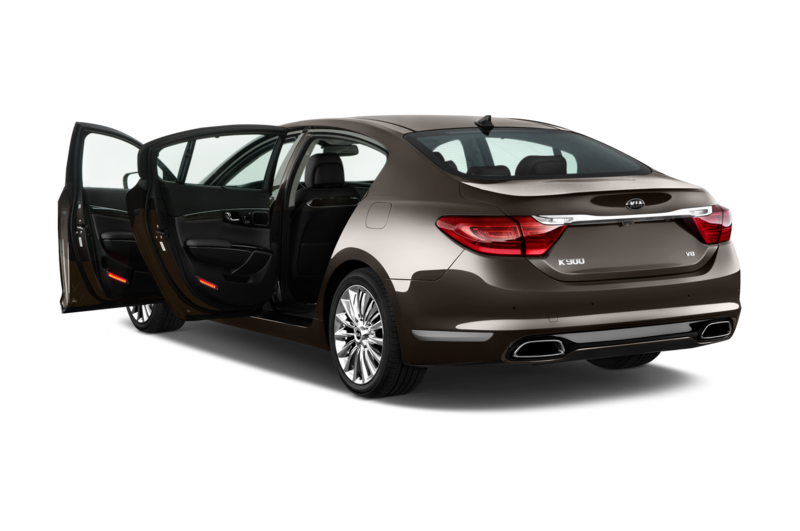 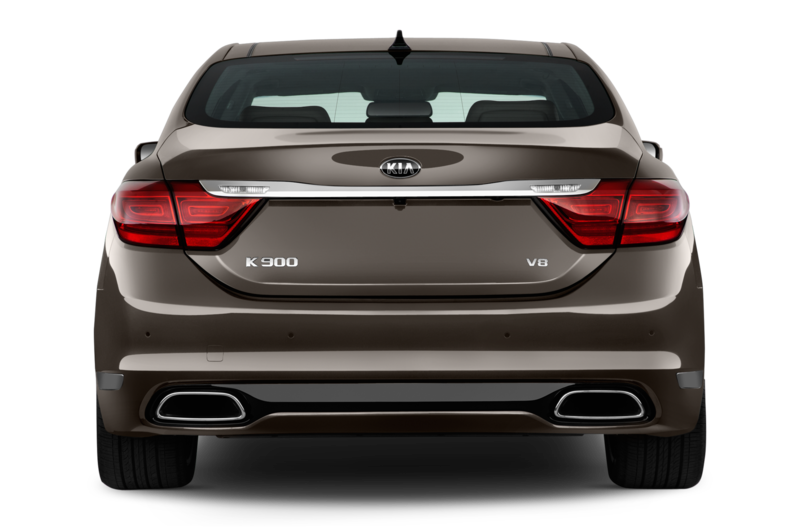 Out back, the first detail you’ll notice are the quad exhaust tips, which suggest that the GT could be packing a version of Hyundai-Kia’s new 3.3-liter twin-turbo V-6, which is rated at 365 hp and 376 lb-ft of torque in the Genesis G90. 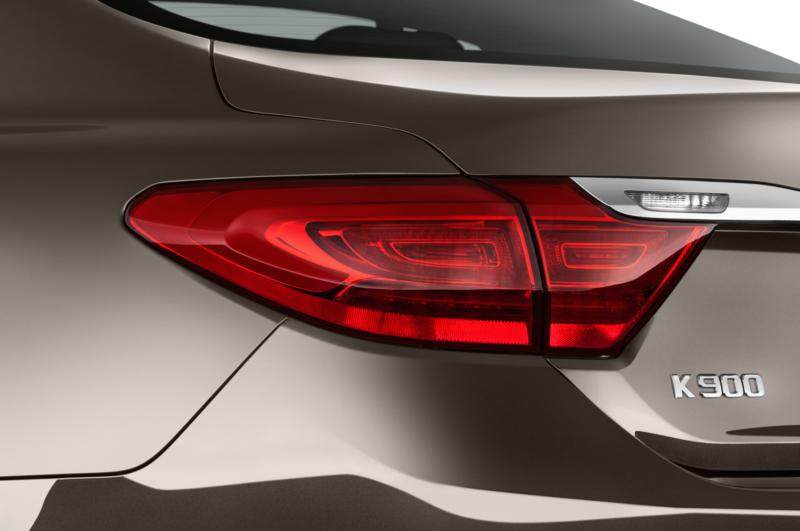 The rear lighting treatment is clearly reminiscent of the GT concept’s taillights, which run the width of the car. 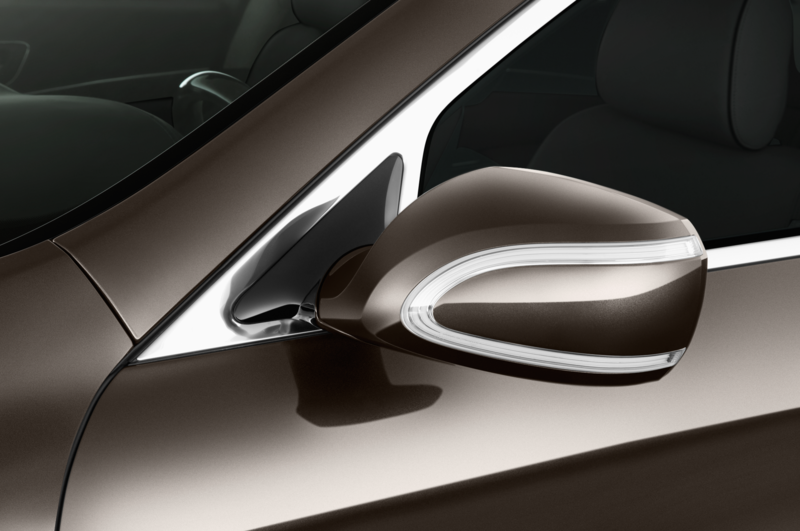 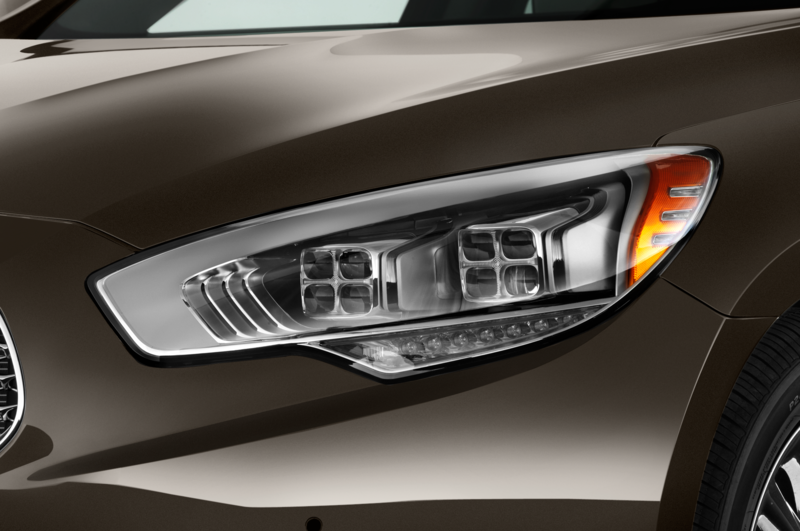 Up front, despite the camouflage, the headlights feature the same curved triangular look as the concept, which should give it a more distinctive and aggressive face. 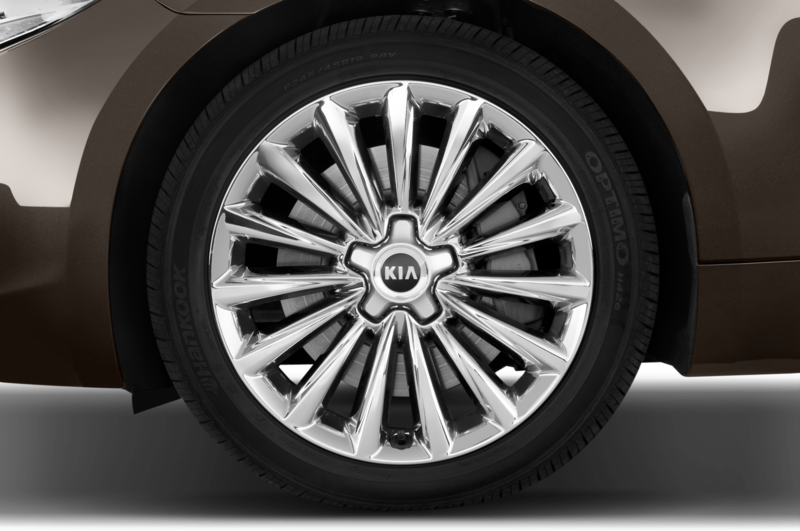 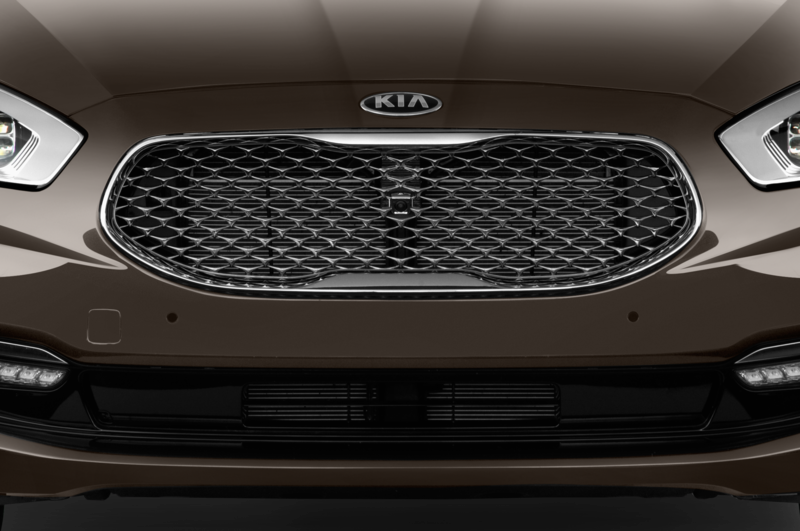 However, the car’s tiger nose grille is still covered heavily, so it’s not clear whether Kia’s trademark front end will carry over to its sport sedan. 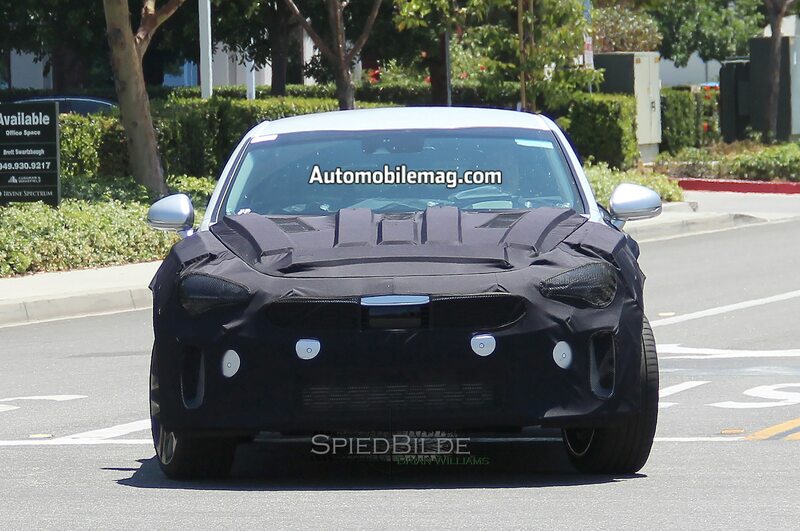 The lower part of the car’s front fascia also appears to have large lower air intakes, which could indicate that it is powered by a high-output engine with forced induction. 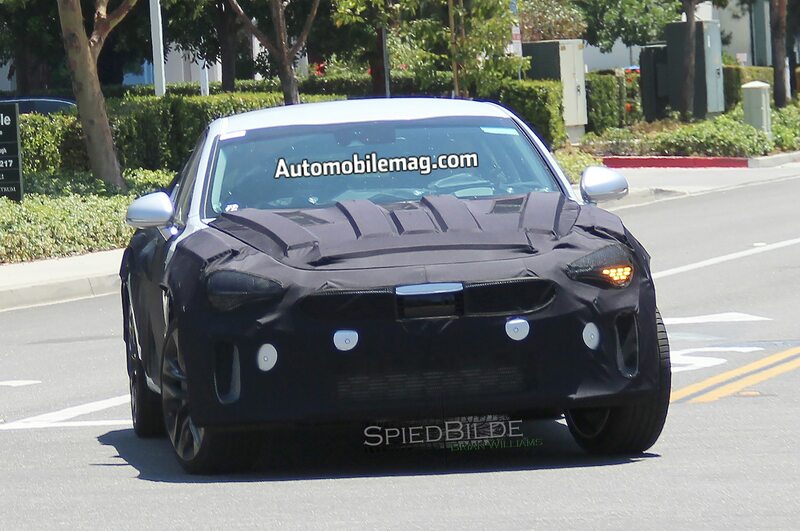 Like the GT Concept, expect the production version to come standard with rear-wheel drive, with all-wheel drive likely to be an option. 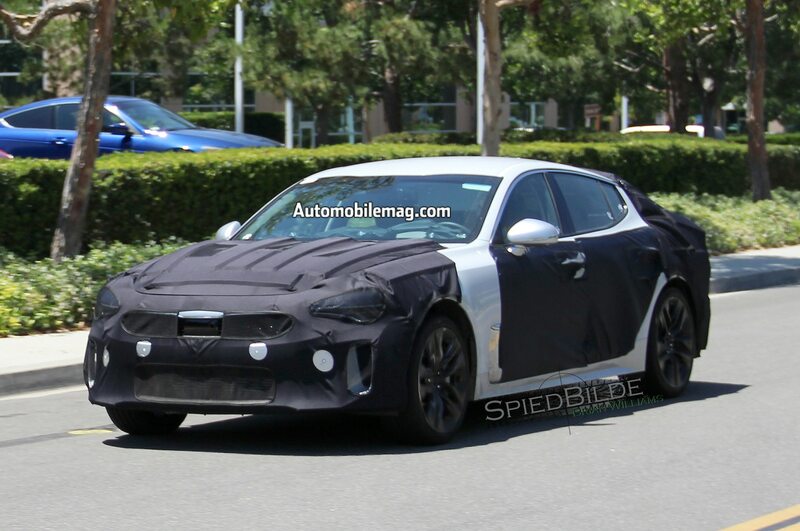 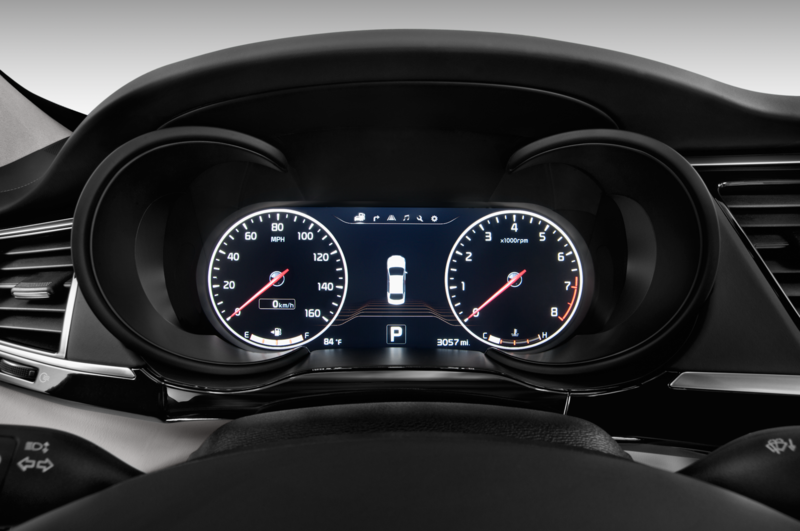 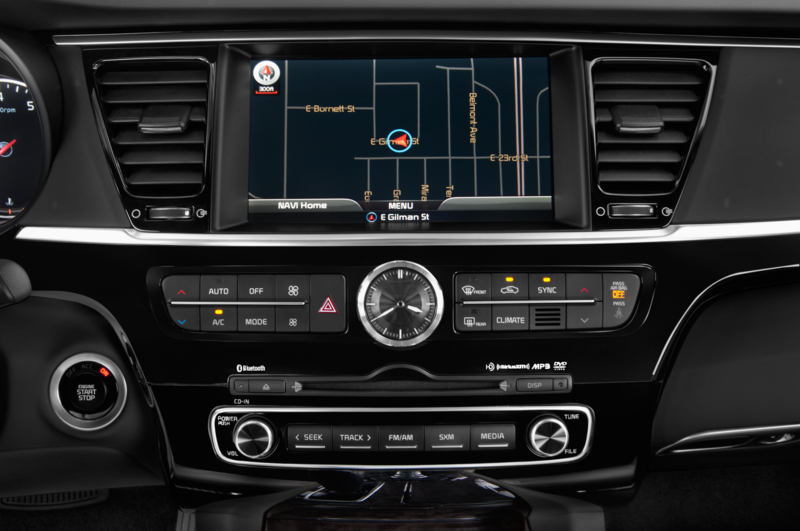 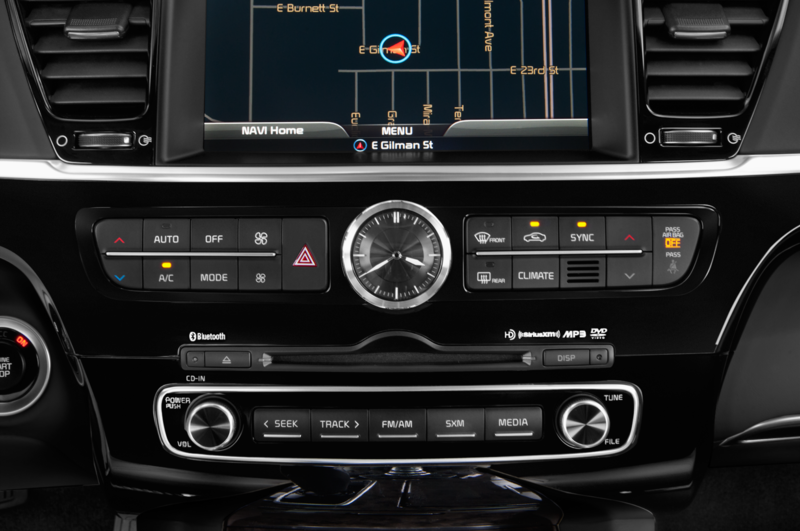 Since the GT will be positioned as a premium product, expect Kia’s full suite of active safety features and semi-autonomous driving tech from Kia’s Drive Wise sub-brand to be available. 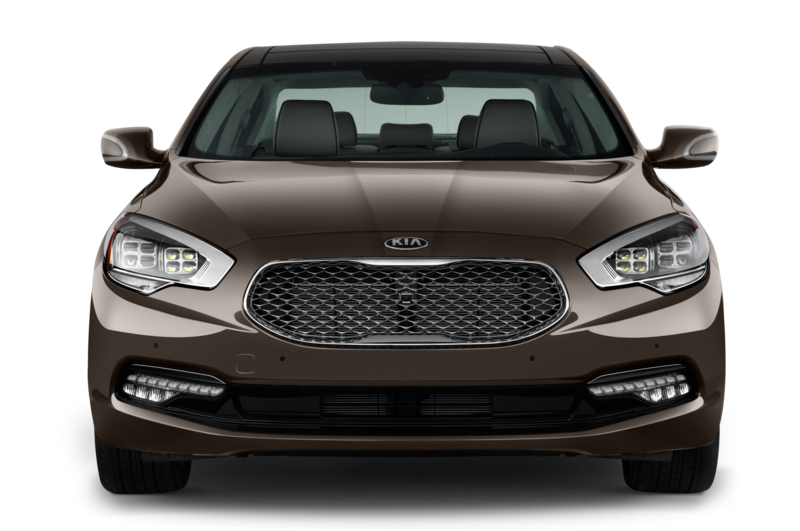 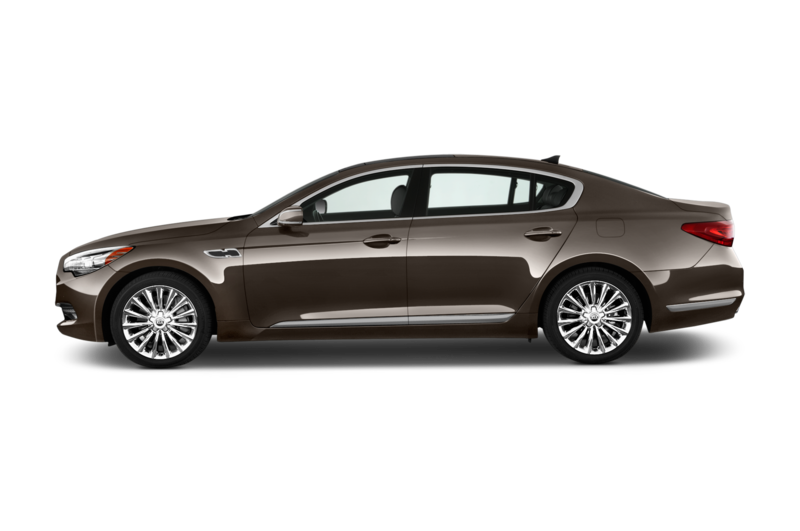 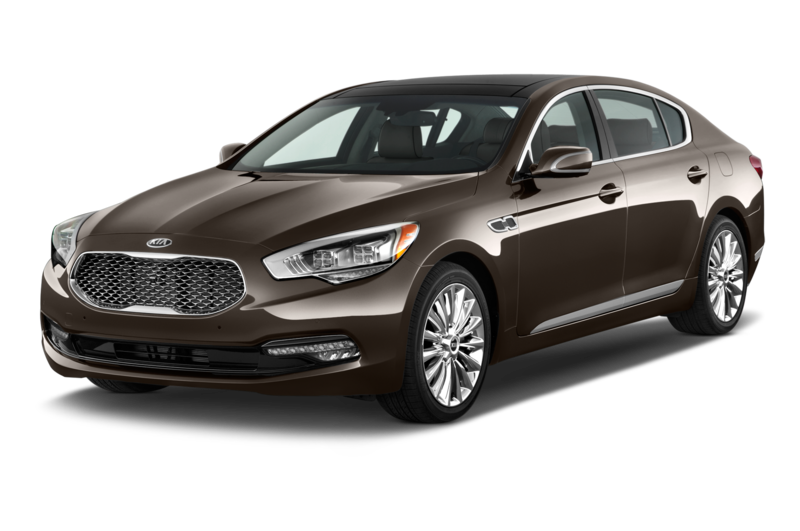 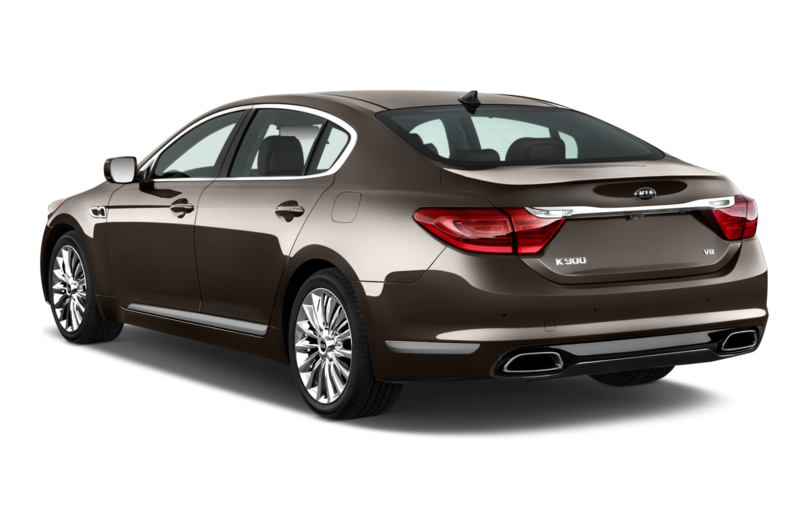 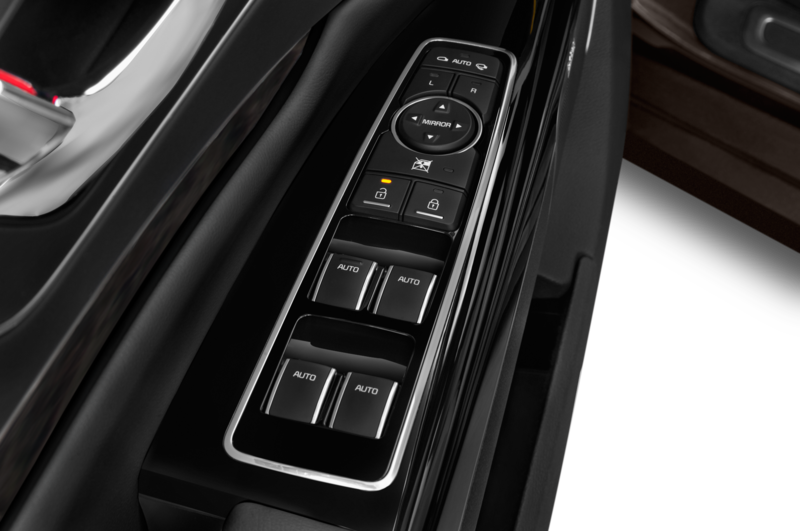 The Kia GT should slot in between the Cadenza and full-size K900 in terms of size. 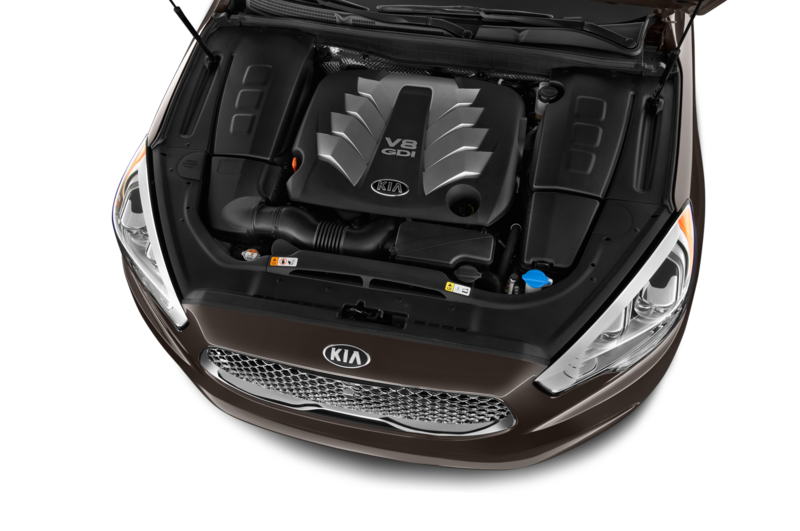 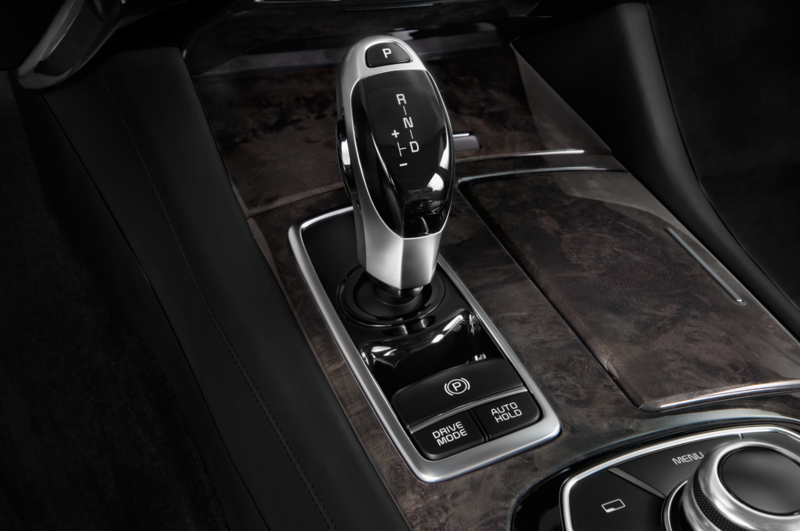 Compared to its current premium offerings, the GT should be the more performance-oriented offering.